In an email sent to the entire undergraduate student body on January 13, Vice President for Student Affairs Erin Hoffman Harding detailed a controversial plan of renovations and relocations that has certainly shaken down the thunder. 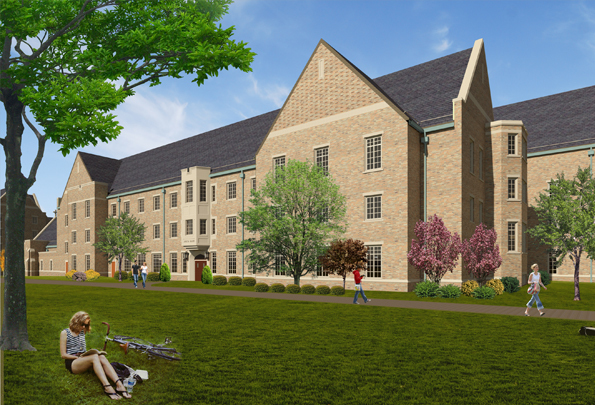 In 2006, Notre Dame began a comprehensive restoration project, the “Residential Master Plan,” which so far has been responsible for significant improvements to 11 residential communities and for the addition of Duncan and Ryan Halls in 2008 and 2009, respectively. 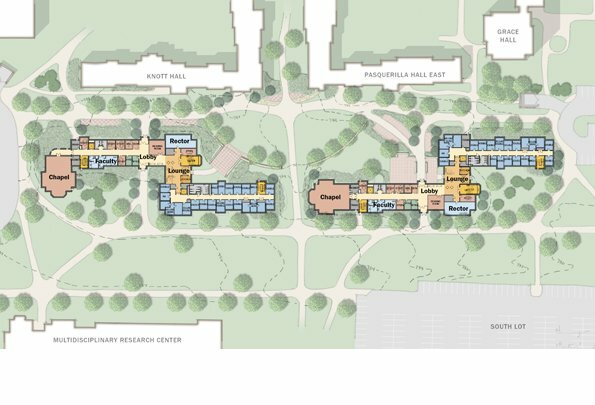 The next phase of this plan comes in two steps: first, the rendering of two additional residence halls, one male and one female, behind Knott and Pasquerilla East to relieve overcrowding conditions in current halls, and more major renovations to current halls. However, it’s not these new plans that have the student body up in arms—in fact, they come as no surprise. Renovations to some of the older dorms on campus have been necessary for quite some time, and anybody that has been by the library recently could tell you that the construction of the two new residence halls is well underway. But it was the news of exactly how this housing shuffle will go down, and the sudden way in which students were notified, that is responsible for the blizzard of emotions that has fallen down onto our already snow-covered campus in just the first three days of the semester. The email informed students that all residents of Pangborn Hall and its rector would be permanently relocated to the new women’s hall in Fall 2016. This new hall will also be accepting interhall applications to fill any remaining space after all current Pangborn residents have been accounted for. 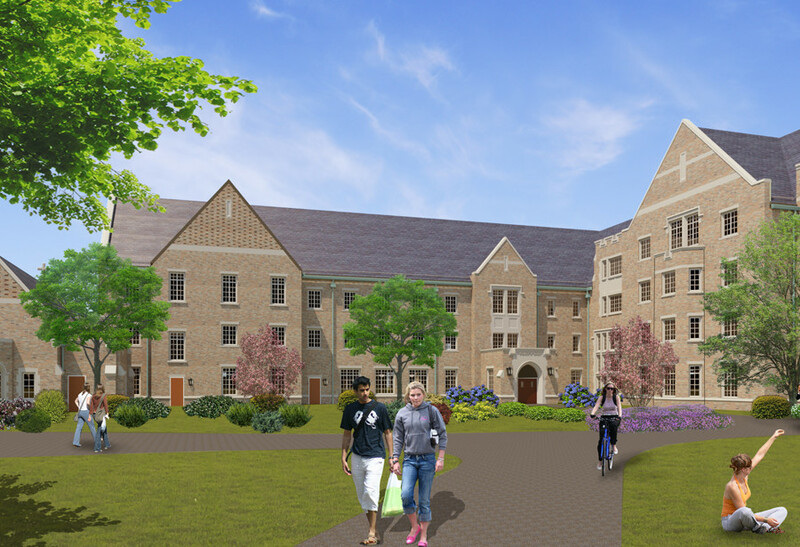 Pangborn will then serve as a “swing hall” to the residents of Walsh and Badin Halls in succession—in other words, all Walsh residents will be relocating to Pangborn for the 2016-2017 school year while Walsh undergoes full-scale renovations, followed by all Badin residents in the 2017-2018 school year. The process for filling the new men’s hall will be slightly different—due to over-crowding being more of a problem in men’s halls than in women’s, students from all men’s dorms will be able to apply individually or in small groups to live in the new community, along with Carroll Hall’s current rector presiding over the new hall. “I was angry and outraged when I found out that they were going to relocate us,” added fellow Walsh Wildwoman and Neuroscience major Nicole Zolman. This announcement has also impacted students who were planning on living off campus their junior and senior years. Nicole added: “The juniors are upset because some of them wanted to spend their last year in Walsh, and just now found out that they actually will be in Pangborn. Additionally, if students apply to “float” to live in another dorm, they will not be given priority and it will not be guaranteed that they can move back into their original dorm after the renovation. Yet Vice President Harding said: “This type of move will honor the personal relationships, traditions and strong sense of community that have been formed” in Pangborn and other halls, but some of the current residents feel differently. “I was completely floored by the news and felt angry as I was informed that I was being kicked out of the place that is my home,” said Colleen. 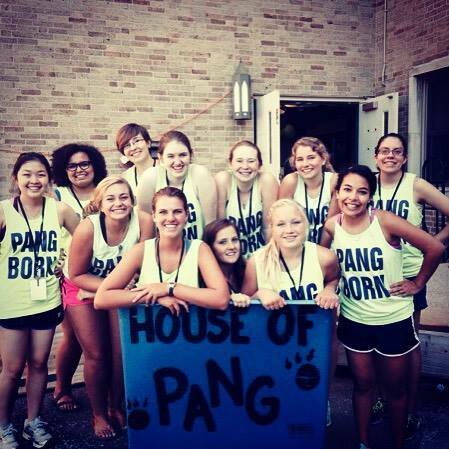 “I think that the community of Pangborn will still be strong, but it will be interesting to see how the addition of about 75 other girls will impact that community,” added Sarah McCafferty, sophomore Economics major and current Pangborn resident. But many students are trying to view this move as just another shared experience that will help to tighten their already extremely close dorm communities. Nicole added: “Although we are upset by having to move, I think that if anything, the move will make the Walsh community stronger. For one, it gives us something to bond over…and I think that facing these circumstances together will bring us closer. “I think moving into Pangborn may change the dynamic of Badin as a whole, but Badin has a strong community, so I have no doubts that it can handle this relocation,” said Badin freshmen and Psychology major Molly Gonzalez. And it’s not just affecting the residents of the dorms being forced to relocate. Close friends of the Pangborn Phoxes are upset that they will be losing their south quad friends to the no-man’s-land of west quad as well.